It’s Friday afternoon and you’re staring down the barrel of a long three-day weekend. While many will be spending a portion of their time with family and friends around the grill, others see the extended weekend as an excellent opportunity to try out a new game or two. If you fall into the latter category, know that you’ve got some solid options on deck. 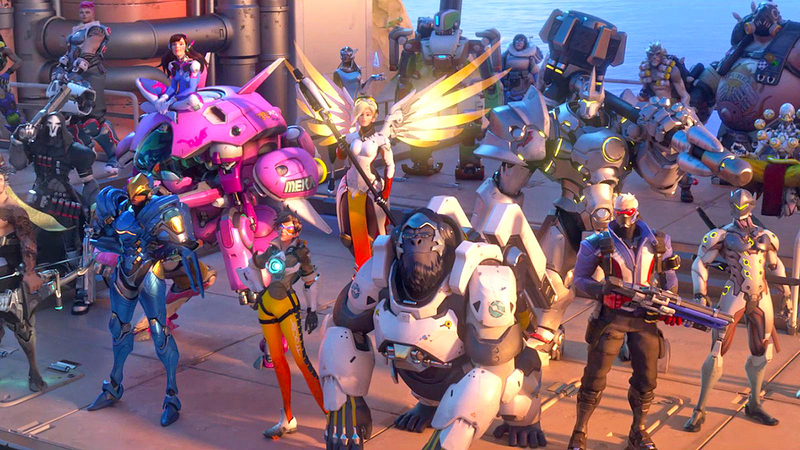 Blizzard has announced that in celebration of its one year anniversary, Overwatch - regarded as one of the best shooters of the modern era - will be free to play this holiday weekend. PlayStation 4, Xbox One and Windows PC gamers can get in on the action right now. The free period started today at 11 a.m. PT and will run through May 29 at 11:59 p.m. PT. Do note that you’ll need a PlayStation Plus membership, an Xbox Live Gold membership or a Battle.net account to play on the PS4, Xbox One or PC, respectively. The game’s full roster of 24 characters and 14 maps is on offer across a variety of game modes including quick play, custom games and arcade. Tasks like leveling up, earning loot boxes and unlocking customization options will all be available during the trial, we’re told. What’s more, any progress made during the free period will transfer over should you decide to purchase the game afterwards (so long as you use the same account). If Overwatch isn’t for you, perhaps you’d rather try Fallout 4? It’s free to try this weekend as well although only for Xbox One and PC gamers (sorry, PlayStation 4 players). "Regard as one of the best shooters of the modern era"
Imagine you have an entire generation of kids raised on crap games. What impression does Overwatch, and average game, have on that type of player? They think it's the bee's knees. I currently still play paladins to this day with just a shade over 100 hours in game. I played paladins first, read many comments of trolls stating it was an overwatch knock off, bought overwatch when I had the money, then refunded it lol. overwatch is too slow paced for me and paladins suits me much better. paladins is unbalanced at times but it will all be fixed in time. overwatch was probably the worst b2p shooter I've ever experienced. You're the first person I've ever seen call overwatch slow, which it is by no means. The matches are 15 minutes at most. FYI it IS an overwatch knock off. Multiple of their characters were lifted directly from overwatch without even changing the outfit, guns, ect. If you are going to gripe at least make it realistic. Jamesbrah and Burty117 like this. It's not one of the best shooters but as a casual game it can be fun. You're the first person I've ever seen call overwatch slow, which it is by no means. The matches are 15 minutes at most. FYI it IS an overwatch knock off. Multiple of their characters were lifted directly from overwatch without even changing the outfit, guns, ect. If you are going to grip at least make it realistic. Compared to Paladins, Overwatch is glacic (like a glacier). Who ripped off who aside, Paladins is actually fun. I've tried playing Overwatch several times using identical characters (the cross game copies) and fall asleep playing Overwatch every time. Installed it for the free weekend just to see if I was playing it wrong and wound up oversleeping today. Reehahs and mrjgriffin like this. Ew, Paladins. Paladins is that kid in middle school who copies your homework and lies to you about "making it look different". Hi-Rez has been lucky enough to gain mediocre results off of a laughable game of copy-cat. Pre and post-cb 20 Paladins comparisons will show you that HiRez literally ripped most of their developed game apart, and re-built it as an OW clone. Just look at the character art comparisons for both games heroes.. I played the hell out of TF2, and had a blast. That being said, Overwatch has been the most amount of fun I've had on a shooter since MW1/2 and the old Halo days... not counting Quake, UT or Duke Nukem. Like it or not, it's one hell of a game - the accolades speak for themselves. Reehahs, Jamesbrah, paytonpenn and 1 other person like this. I have about 1.5k hours on TF2 and now about 400ish hours on OW, and while the latter certainly lacks a lot of the charm and humour of TF2, I think it's definitely a worthy successor as a team-based, character-based shooter. It'll never quite match the joy of rocket-jumping and market-gardening on Hightower, but it definitely scratches the itch, especially in Competitive.